﻿ The London Tours And Walks We Offer. Richard's guide to locations that are featured on his walks should you wish to revisit them. Features opening times and links to their websites. Free walks that you can do yourself at a time and on a day to suit you. This page also includes quizzes, and suggested books to read. Richard's guide to Secret London. Uncover hidden treasures and fascinating, historic locations that you can discover throughout London. Richard's repertoire extends to a wide variety of Walking Tours around London covering many different themes and districts. Below you will find brief summaries of some of the most popular walks ranging from the ever popular Jack the Ripper Tour through to the more esoteric Dickens London walks. There are pub walks and ghost tours; village walks and riverside strolls. 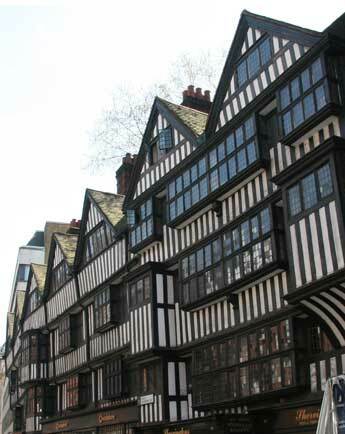 There is even a delightful tour around the timeless Inns of Court, London's legal quarter. For full details of a particular tour, and to book places on it, simply click on the link underneath the brief tour synopsis and this will take you to the page where you can read a full description of the walk and also, in many cases, watch a video that features highlights of the walking tour that you are interested in. In addition to a regular schedule of tours all of the walks can also be privately booked by groups or individuals. 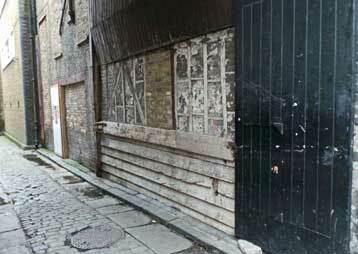 Richard's Secret London Walking Tour takes you into the hidden parts of the old City of London that other tours do not reach. You will explore old alleyways, tucked away courtyards and ancient buildings, and see the places where history was made and where time stands still. The tour gets as far away from the busy main roads as it is possible to get so that participants get the genuine feel that they are seeing places, as well as visiting parts of London, that, to quote one eminent newspaper "...it's a sure bet they wouldn't see otherwise..."
Surprises abound on a tour through streets and thoroughfares that are steeped in history and on which each corner turned throws up something truly magical to marvel at. 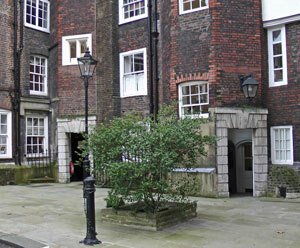 The four Inns of Court are, put simply, truly special. Their flag-stoned courts, picturesque gardens and historic byways are some of the least changed parts of London and are an absolute joy to discover. On this walk you will enjoy a voyage of discovery that will wend its way into the very heart of this enchanting enclave and get to see some truly amazing places that you will, most certainly, want to return to explore under your own steam. Dickens and London go hand in hand, or should that be foot in foot! Charles Dickens, after all loved exploring London, and its streets feature extensively in his works. On this walk you will begin in the streets where one of the most traumatic events of his childhood occurred and then follow him as he sets out on the road to becoming the inimitable Boz. Secret gardens, haunting ruins, historic churches and ancient courtyards dot the route, whilst some of the streets we visit are so little changed since the days when Dickens strolled along them that you wouldn't be in the least bit surprised if the likes of Mr. Pickwick, Oliver Twist, Sam Weller or David Copperfield were to come walking towards you, en route for another Dickensian adventure. 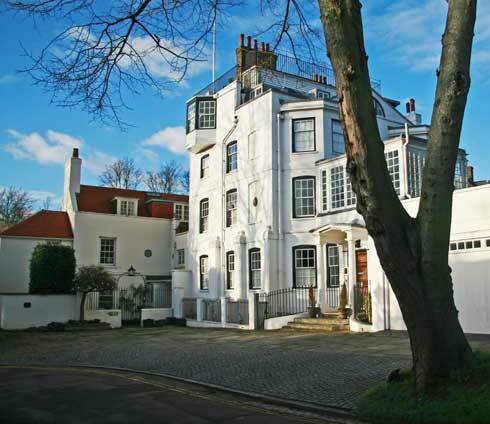 Hampstead has been called "the jewel in London's crown". Indeed, it is safe to say there is nowhere else quite like it in the whole of London. It is one of the most picturesque enclaves in the whole of the Capital and to walk its quaint streets, to crest its windswept heath, and to gaze upon its pretty cottage lined lanes is an absolute delight. And, these are the things you will most certainly get to do on our walk around the lanes, streets, and heath side pathways of Hampstead. In the autumn of 1888, a monstrous maniac arrived in the streets of London's East End and began a reign of terror that both shocked and terrified the entire city. 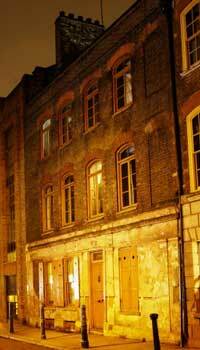 He became known as "Jack the Ripper" and, on this tour you will follow in his footsteps through the very alleyways and passageways where his murders occurred as you get to grips with the full story of the notorious Whitechapel Murders. This is a fact-packed walk that really will give you an unrivalled insight into a sequence of crimes that have baffled amateur and professional detectives for over 125 years. Indeed, by the time you have spent two hours exploring Jack the Ripper's London, in the company of our expert guides, you'll be fully conversant with all the known facts and will, no doubt, be eager to go away and begin your own investigation into the World's most infamous whodunit. Please note that it is important that you click on the walk to check the tour dates and the availability as the tours take place on selected dates. Just click on a tour to be taken to its description and to book. "Richard. The tour yesterday met and surpassed all our expectations. Not only did you bring Dickens to life and vividly describe his environs, but your entertaining manner was great Theater. You should advertise as a walking tour, one-man play". "Richard was a fantastic host, by far the best we have encountered! The evening was atmospheric, informative and took us deep into hidden London. The children were not too young and loved every moment!! We will be booking again and would strongly recommend using this company over others, as the others pale in comparison!!! "Thank you for an amazing, fun and fact filled walk. This is the third walk I've been on with you and have gained so much from each of them. 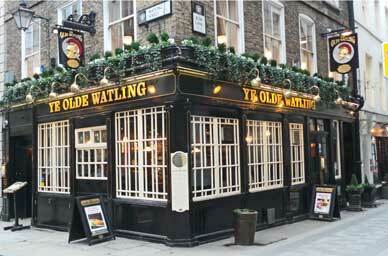 We will definitely book again... We both like the look of the city pub walk (or is it a stagger?!). Richard is an amazing guide - his depth of knowledge is incredible!" "Richard, as usual you were brilliant, very entertaining....no one does a London tour like you...looking forward to our next tour with you!" "Thanks for a great walk on New Year's Day. It was fantastic, even though it rained the whole time. We will be coming up and do more walks with you. Thank you again and Happy New Year." "Dear Richard. We just wanted to thank you so much for a fantastic tour this afternoon, Dickens Christmas Carol Tour, it was as magical as I hoped it would be. We enjoyed ourselves so much. Looking forward to booking the next one now. Thank you so much"
"Richard. Thank you for bringing warmth to a cold and wet day. As usual it was excellent. Hopefully we will see you again. We fully intend to revisit the Guildhall and Goldsmiths. You never fail to whet our appetite to explore London." "I'm writing to ask you to pass on to Richard my sincere thanks for such a fantastic tour today. On the tube ride home my students were all commenting on how much they had learned and on how engaging Richard was as a guide."